Oberdorf was a daughter colony officially founded in 1852 by families resettling from Norka, Grimm, Kutter, Dönhof, Stephan, Shcherbakovka, Galka, Holstein, Dobrinka, Müller, and Schwab. In 1828, a colonist named Becker from Kamenka established a khutor at the place where earlier, a Russian named Kuptsov had also had a khutor. As additional colonists began settling there the place became known as Becker's Chutor. It was later named Oberdorf and was is now known by the Russian name Kuptsovo. Oberdorf and Neu-Norka were part of the Rosenberg parish. Some of the Norka families known to have lived in Oberdorf include: Göbel, Klaus, Schmer, Schreiber, and Weigandt. 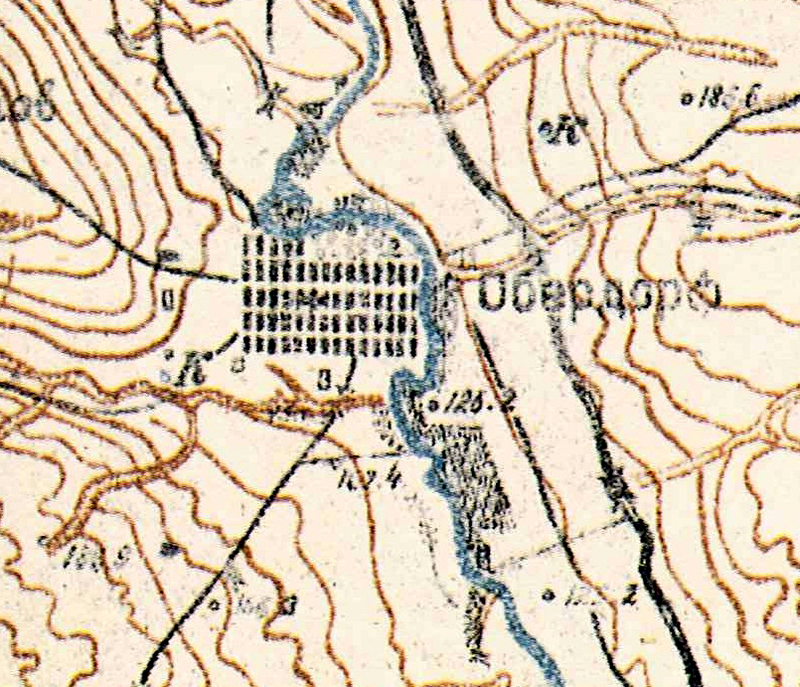 Soviet contour map showing the colony of Oberdorf in the 1930's. Source: The CVGS at Concordia University website. The Center for Volga German Studies website. Last updated May 14, 2016.